Members of the Cayman Islands squad huddle after a training session. 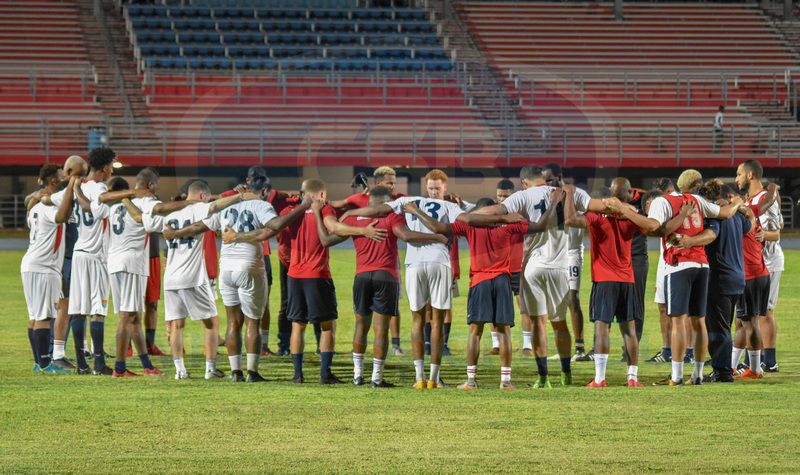 A full slate of matches, including the Cayman Islands playing away to Jamaica, is scheduled for the coming days as the qualifiers for the CONCACAF Nations League kicks off. The Nations League is part of an initiative spearheaded by CONCACAF leadership in which 34 of the region’s 40 currently eligible teams will play four match dates from September 2018 to March 2019. The matches will determine which 10 teams will join Mexico, Costa Rica, Panama, Honduras, United States, Trinidad and Tobago in the 2019 CONCACF Gold Cup. It all gets started on Thursday, 6 September with Dominica hosting Suriname, followed by a clash between Guyana and Barbados. 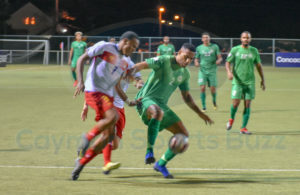 Cayman, which is ranked 34th in CONCACAF’s latest rankings, will face Dominican Republic, St Lucia, and Montserrat during qualifying that will be played during FIFA’s international match windows between now and March. 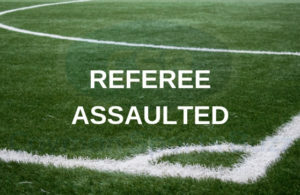 However, the trip to Kingston against the heavily favoured Reggae Boyz is up first for the squad coached by Elbert McLean on Sunday, 9 September. Jamaica, the 2015 and 2017 Gold Cup finalists and ranked 6th in CONCACAF, is one of the favourites in the competition. 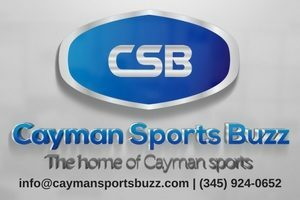 CaymanSportsBuzz.com will take a closer look at the national team’s preparation for their first match in a subsequent story.